As a distributor, you’re looking for ways to sell more access control products to your customers. One way to sell more is to focus on the benefits of the products your customer needs. When you focus on the benefits, you help them see the outcome that they can expect when they buy your product. The features are great, but those simply explain how the device works. You want to show how the device helps make the customer’s life easier. After 40-plus years in the access control industry, Diablo Controls is here to serve you. Your customer’s access gate may allow more than four vehicles to enter at a time, but it’s most likely that it won’t. This is why what AVI-CR is great for moderate to high-volume access points, giving control to those at the gate. A concern for other code readers in the industry is the inability to read the text on the display. The AVI-CR from Diablo Controls gives your customer the ability to, at a glance, see the codes that have been received. The AVI-CR offers the user a visual display of its charge, which makes it easy to determine when a new 9V battery is necessary. Your customer will never have to run out of power in the middle of receiving signals. At a high-volume access point, looking down at a screen each time to confirm the vehicle can have access can take a toll on your gate personnel. 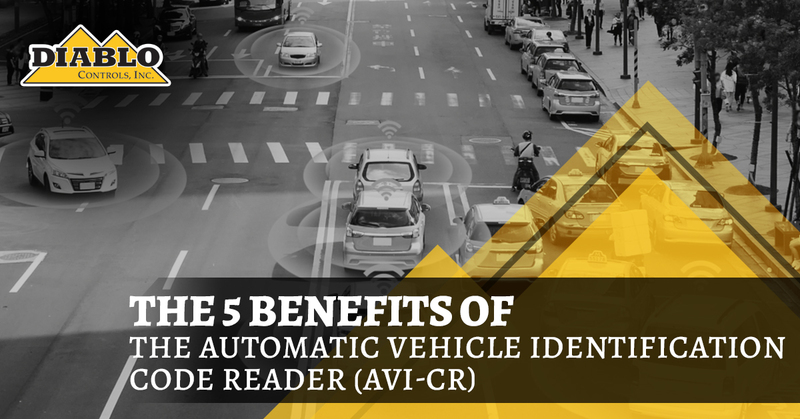 The AVI-CR emits two audible beeps each time a code is successfully registered, which makes it super easy and quick to use when identifying each vehicle. The AVI-CR takes battery usage to the next level. A momentary power button keeps battery usage down when the reader is not in use. There are lulls in vehicle access requests, which means you can save battery life by not using the AVI-CR device. Press the power button once, and it will go into “sleep” mode. When you’re in need of access control devices, you can trust Diablo Controls to deliver. After 40-plus years in the industry, we know what it takes for electronics to make a positive impact on those who need them. Also, we’re always in search of ways to make our products better, which means you’re always getting the top-tier version of what we manufacture. It’s time you deliver the best access control products to your customers. Contact Diablo Controls today to get started on a quote. Helping people to be healthy and build wealth.